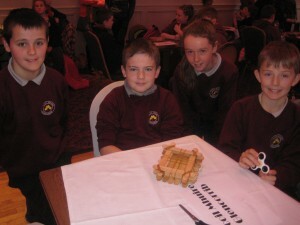 The annual Glencorrib NS Cake Sale will take place in the Community Centre on Saturday 2nd of December after 7pm Mass. Cakes may be left at the Community Centre on Saturday evening, 2nd of December. As always, special emphasis is on home baking and we kindly request that you value your cake. Tea, coffee and refreshments will be served and there will be a Christmas Raffle on the night. The Board of Management and staff would like to thank you for your continued support of our school. 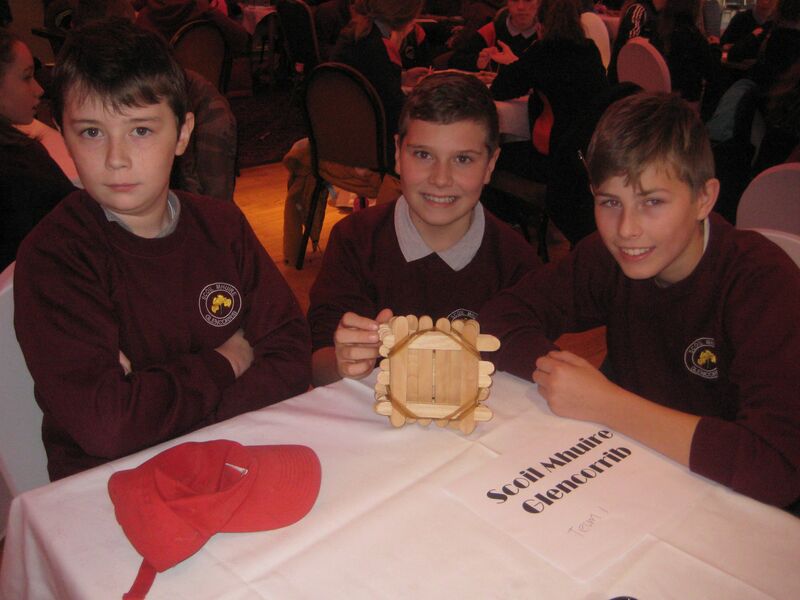 As part of Science Week 2017, 5th and 6th class participated in the Mayo School Design Challenge held in conjunction with Mayo Science and Technology festival. The challenge was to build a raft out of craft sticks and elastic bands, that would stay afloat while holding some marbles. The time allowed for the challenge was 30 minutes. 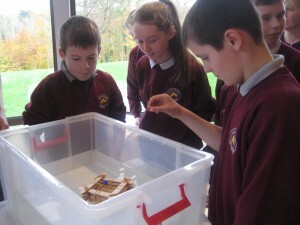 The rafts that held the most marbles were the winners. Two teams from 5th and 6th class entered the competition which was held in Westport and all fellow 5th and 6th class pupils came along to support us also. Although our rafts didn’t make the final two, both of our teams managed to design very successful rafts. We had a great day out and really enjoyed the competition.